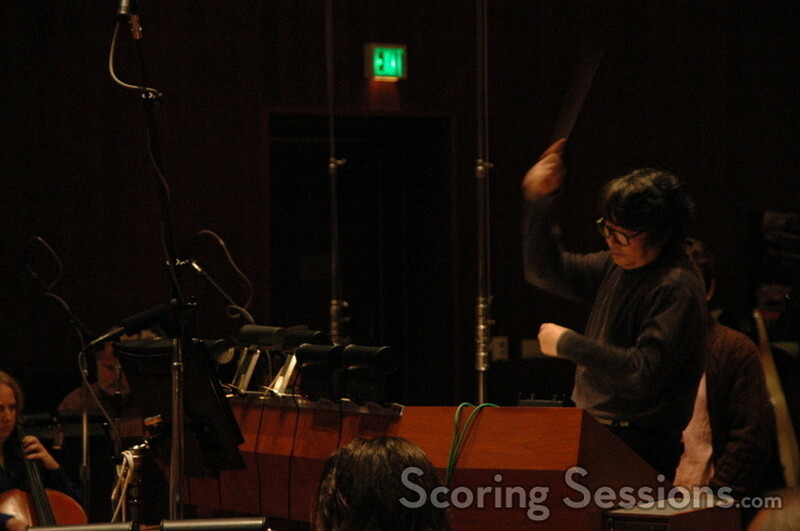 Famed Japanese composer Masamichi Amano (Battle Royale, Giant Robo) was in Los Angeles this week, recording his score to an animated short film, Mushiking: The King of Beetles. Produced by the Sega Corporation, based on their hit Japanese interactive card game, the film teaches viewers about the importance of conserving and protecting nature. 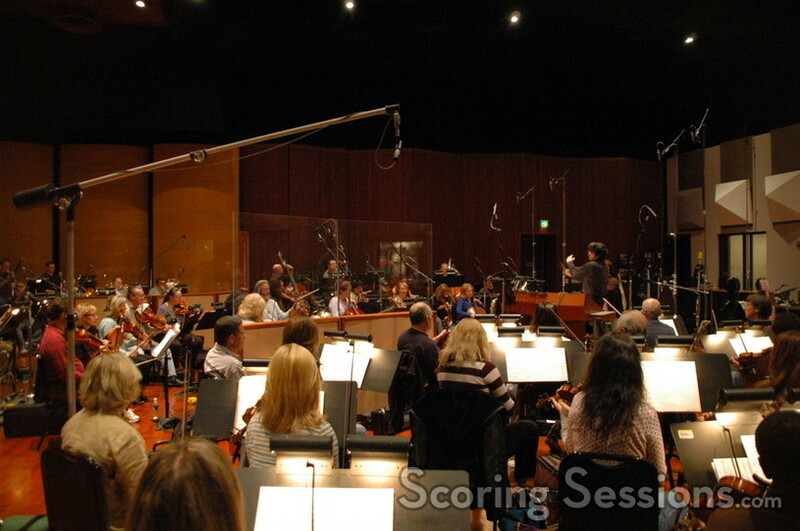 Recorded at the Eastwood Scoring Stage with a 66-piece ensemble contracted by Chris Tedesco, Amano wanted a concert-hall feel to the music, and so he conducted without headphones or click track. 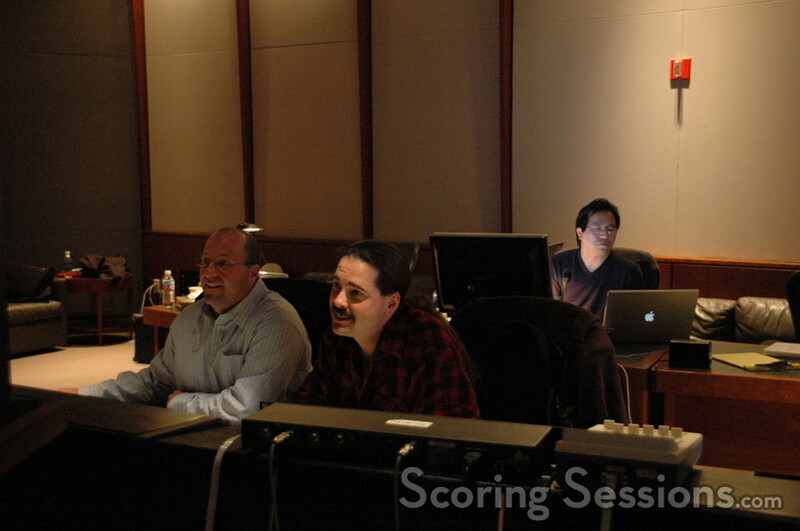 Amano’s music, which he orchestrated himself, was strongly thematic, and took great advantage of the players. 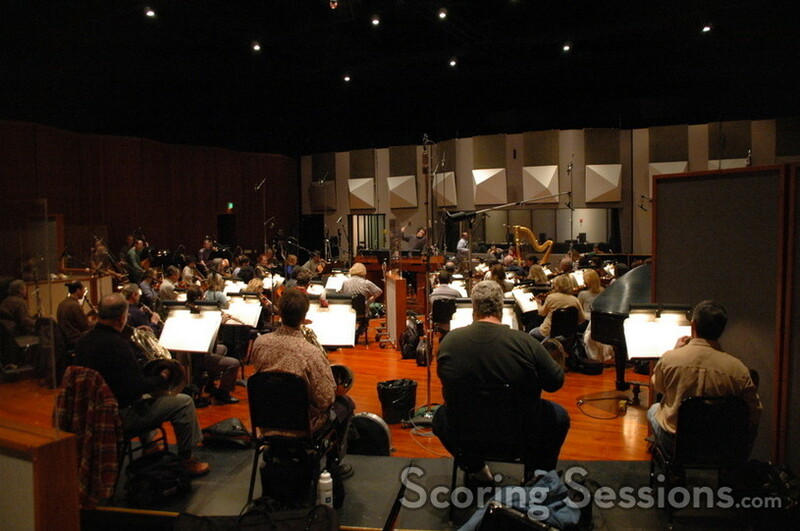 Large action cues with tense rhythms kept the percussionist on their toes, and sweeping melodies allowed the strings and brass to shine. Since hitting the market in 2003, Mushiking card sales have exceeded over 398 million pieces. The new short film (50-minutes long) will be released in theaters in Japan later this spring.